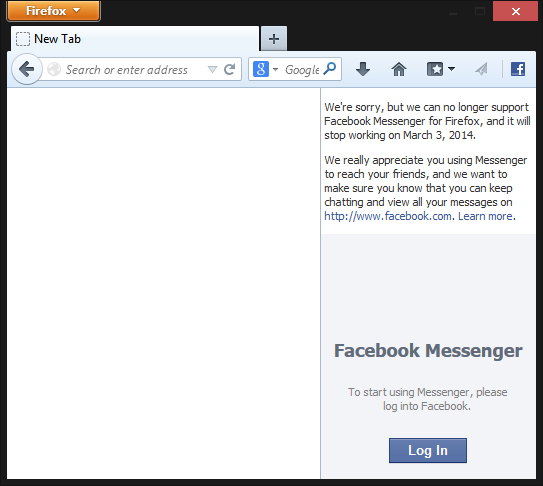 Less than 24 hours after Facebook confirmed it was shutting down Facebook Messenger for Windows on March 3, we’ve discovered the same kill date applies to Facebook Messenger for Firefox. It appears that the company is no longer interested in developing desktop apps. The first clue comes from the fact that Facebook has pulled its Messenger for Firefox page and its corresponding Help Center page – both now display a generic error. If you still have the add-on, which someone has reuploaded to add-ons.mozilla.org, an identical end-of-support message is displayed at the top of the application as the one in Facebook Messenger for Windows. Again, the “Learn more” link takes the user to a generic Messages page on Facebook’s Help Center where the only relevant section is how to uninstall Facebook Messenger for Windows or Firefox. The decision means that Facebook no longer develops any applications for the desktop. While there was once talk of Facebook Messenger coming to OS X, such a move seems extremely unlikely now. For now at least, Facebook will likely focus on mobile, though we wouldn’t be surprised if it one day the company built apps for platforms that spanned a subset of desktop, mobile, and the Web (such as Windows 8 Metro, Chrome OS, or Firefox OS). It’s just the traditional desktop that Facebook appears to have lost dismissed. That shouldn’t be too much of a surprise given how mobile-focused the company has become. Mozilla and Facebook officially launch Facebook Messenger for Firefox in December 2012, meaning that when it’s killed it will have been around for less than 15 months. Facebook touted that the app let you IM your friends from anywhere on the Web while Mozilla was pleased it had such a great partner for the debut of its Social API for the Web. 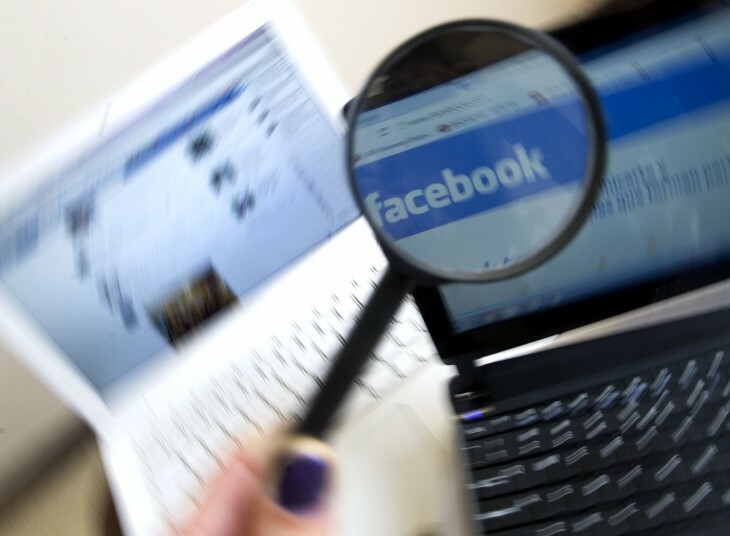 Yet when it comes to the desktop browser, Facebook will now once again point all users to Facebook.com.